Macau is known for its yummy snacks e.g. almond cookies and egg tarts and the best place to sample all of these will be at food streets around the country. One of the most frequented food street would have to be the one leading to the Ruins of St. Pauls. We all know that one of the must-see sights in Macau is the Ruins of St Pauls and tapping on its popularity, enterprising snack sellers had setup shops along the street leading to it. 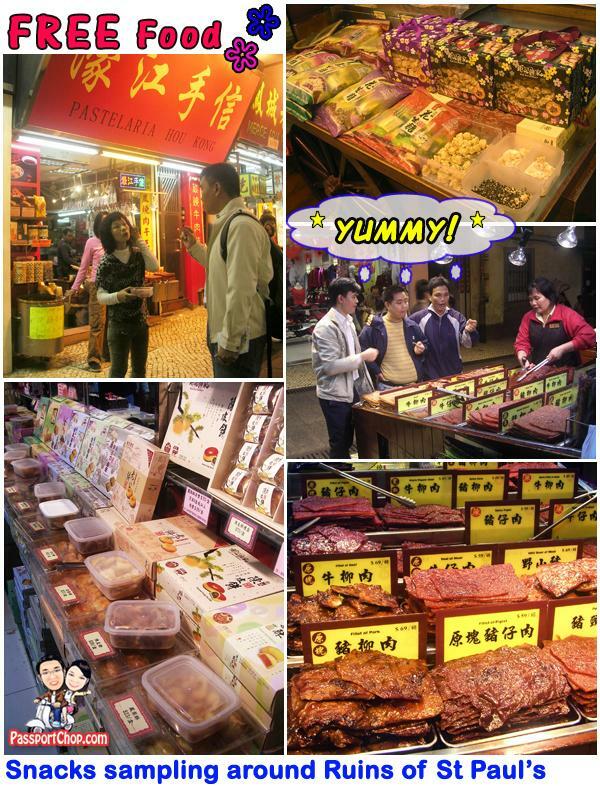 And to tempt you further, there are lots of opportunity for passer-bys to sample these snacks. 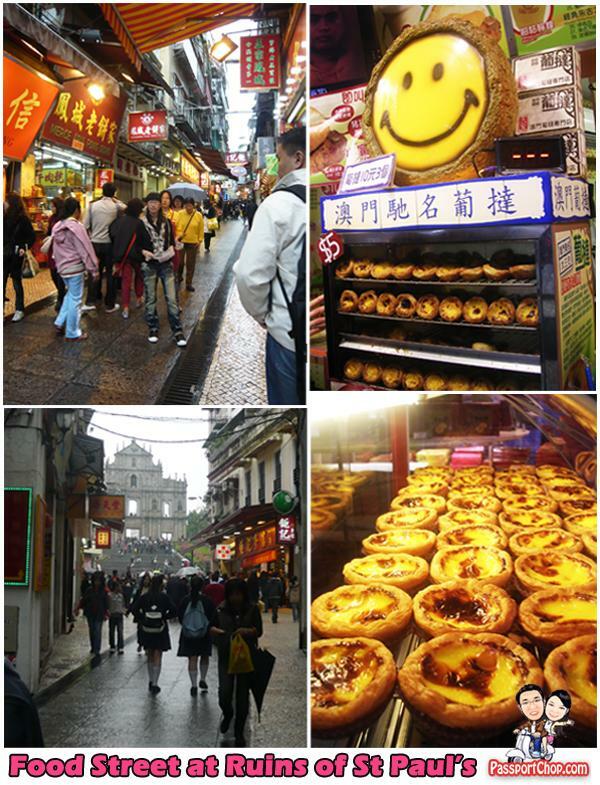 Egg tarts are a must-try here – although they couldn’t rival that of the famous Lord Stowe’s and Margaret’s; they still serve their purpose as a yummy quick-bite snack – buy only from the more famous brands e.g. Ko Kei. Great article. Good for travelers and readers.